Our team is ready to provide you with a complete solution. NEFF delivers so much more than parts; we provide solutions. So when your business calls for custom designs, assembly and manufacturing services, machine performance enhancement, application software development, research and development, or even specialized technical support, the NEFF team is ready to help. 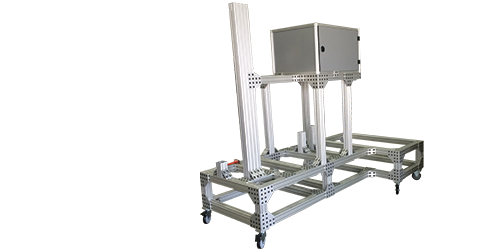 We can also create custom assemblies (with single part numbers for fast, easy ordering) that are kitted, tested, packed, and shipped to your specifications. The NEFF Technical Services Team is made up of experts dedicated to making your job easier. Electrical and pneumatic specialists, mechanical, designers, and other product consultants devoted to finding you a solution that is simple, seamless, and efficient. All experienced professionals who come from various industries and make it their business to thoroughly understand your business before suggesting technical solutions. 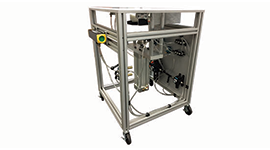 Work with our team to create custom solutions that include grippers, vacuum systems, cameras, I/O modules, pneumatic valves, and other robotic accessories. Your packages can be mounted to a common adapter plate or several plates. 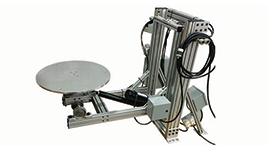 Give us your specifications and we’ll build a control panel for our servo-driven ball screw/belt actuators, which can also be packaged with mechanical hardware to create an all-in-one unit. It comes to you assembled and ready to drop into your equipment. When you need a unique manifold solution – call on the NEFF team. 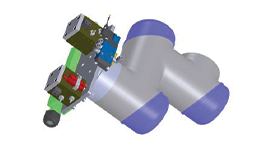 We will work with your team to design, test, and assemble what you need – portable manifolds to reach specific locations, package manifolds that combine valves of different series, manifolds to reduce tubing and hoses or meet tight size requirements, and any other challenges you might face. 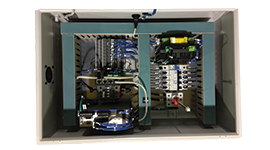 We can package electrical panels that incorporate various product lines including touchscreens, servo drives, etc. – to deliver combined solutions you can count on. 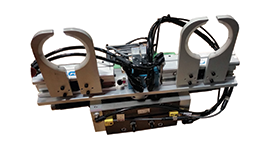 As a Premier 80/20 Distributor, we can help you find innovative ways to utilize 80/20 as machine bases, guarding, tables, workstations, carts and incorporate other NEFF product offerings such as valve manifolds, vision cameras, touchscreen enclosures, servo systems, robots, electric/pneumatic actuators, and more. 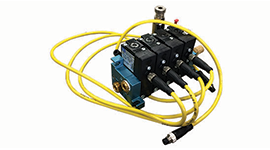 We offer custom design kits and assemblies for pneumatics, electrical, and structural products. If you require, we can provide proof of concept (POC) on certain applications. Let our team quote your next project.